Partnering with Visit Vancouver USA on advertising and promotions is a great way to be part of our broad marketplace reach. Participating local businesses have a presence in a market that might not otherwise be possible. Our team produces many publications that enable you to target your advertising to specific markets. For advertising information on any of these platforms, please contact our marketing department. This beautiful full-color magazine is the official visitor publication for Vancouver and Clark County. It contains information on area attractions, events, lodging, restaurants, shopping and relocation. Tourism is big business in Clark County. In 2016 visitors spent more than $472 million at local shops, hotels, restaurants, attractions and other area businesses. 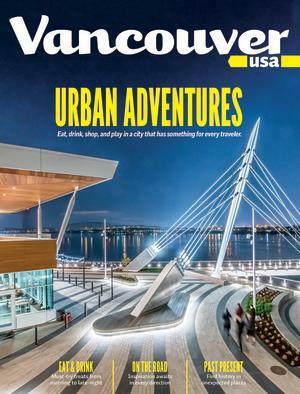 Reach these visitors directly with an ad in the 2019-2020 Vancouver USA Travel Magazine! Distribution: Distributed statewide and to regional visitor centers throughout the Northwest. It is also distributed to subscribers of Portland Monthly and Seattle Met and available at local hotels, attractions, and mailed to visitors who makes an online request. Contact David Klein at SagaCity Media for more information on advertising. Download the 2019-20 media kit. 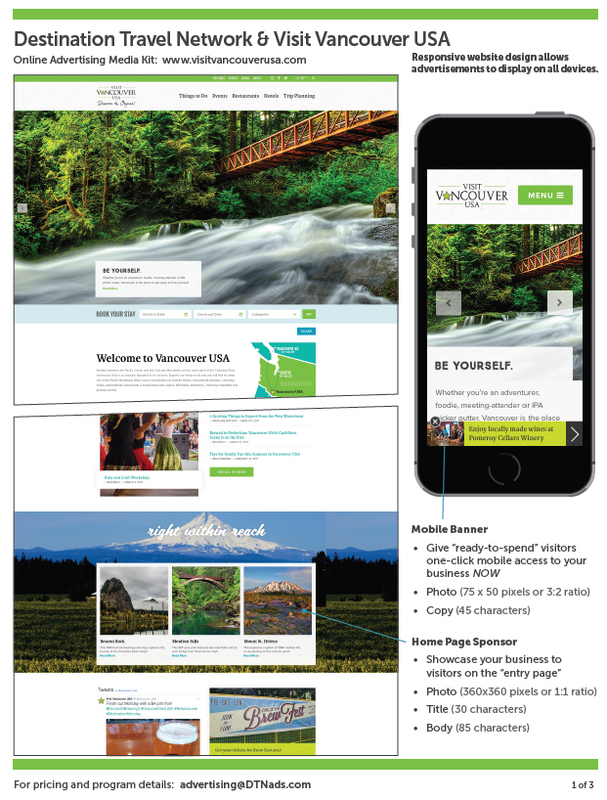 Working exclusively with Destination Travel Network (DTN), Visit Vancouver USA offers a great way to maintain a marketplace presence with digital advertising that is both economical and effective. Advertising options include highlighted text links, priority listings, banners and page sponsors. Each individual ad or campaign is customized to reach unlimited viewers. Monthly reports tracking progress are delivered to the advertiser. Contact DTN Advertising for more information on advertising.